El Babalu is an excellent authentic latin music club. It rivals the best salsa clubs in Chicago in number of nights open, quantity of live music, dance space, and atmosphere. The huge 3-1/2 story eagle mural facing south is a city landmark, you cannot miss it when driving north on I-43/I-94 heading toward downtown. Lessons: Tuesdays 6:30 Ivan & Sodie teach beginner and intermediate salsa, $10. Friday evenings around 9:30 there is a half-hour complimentary beginner lesson taught by Ivan prior to open dancing. Saturdays 4:30-7:00 Emmanuel and Maniee teach salsa, $10. Dancing: The large dance floor is surrounded by tables. The club is tastefully decorated and has a fairly classy atmosphere. Open salsa dancing on Tuesdays after the lesson, Thursdays, Fridays 9:00pm-2:00am, and Saturdays 9:00 pm-2:30 am. Live Music: Every Saturday night 10:30 pm till 2:00 am. All excellent salsa/merengue bands from the area & chicago. Never disappointing. Food: El Babalu is a good carribean restaurant in its own right, serving Tuesday, Thursday, Friday, and Saturday until 8:00 or 8:30 pm. Appetizers starting at $2, entrees $7-10. Cover Charge: No cover Tuesdays and Thursdays. $5 cover on Fridays, $10 on Saturdays. Dress Code: No jeans or sneakers. 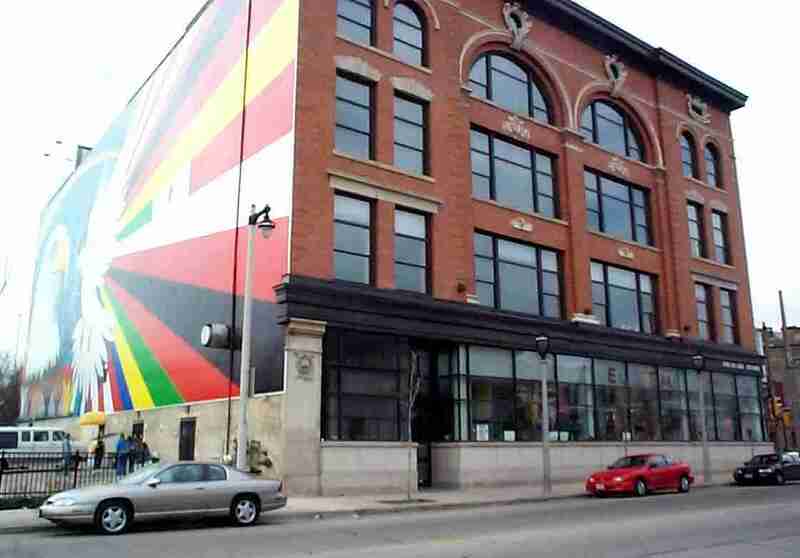 Address: 611 W. National Avenue, Milwaukee. (414) 383-4044. Located in Walker's Point, just south of downtown, near the city's hispanic district.